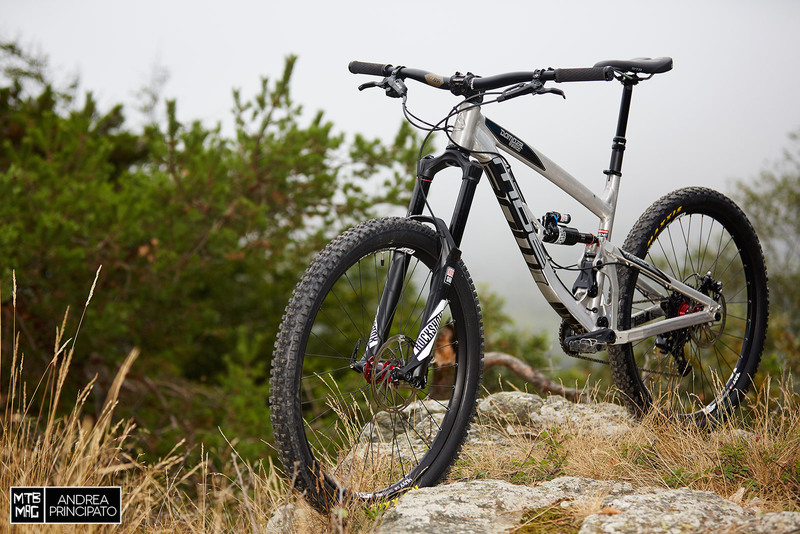 In July MDE Bikes presented the new Damper 650b. In addition to the considerable price reductions of each model, the new Damper exposes many small but essential evolutions that transform it to a more race oriented bike with enhanced performance. This evolution is also thanks to Alex Lupato, the Italian Enduro champion, who contributed to improve geometry and other details of the bike. 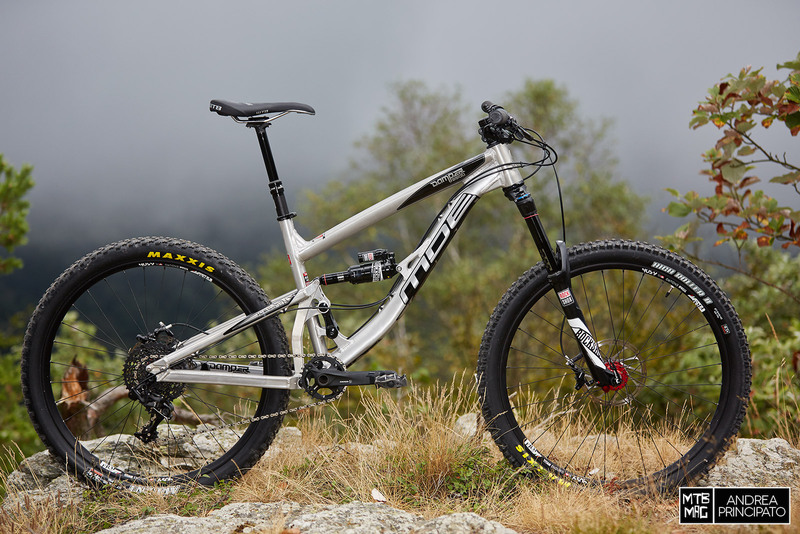 He raced the last Enduro World Series races with the new MDE Damper 650b in Team edition. MDE Bikes provided us a 2016 Damper 650b Race edition for an in-depth test lasting over a month, so we had the possibility to identify any differences with the previous version, tested exactly one year ago. 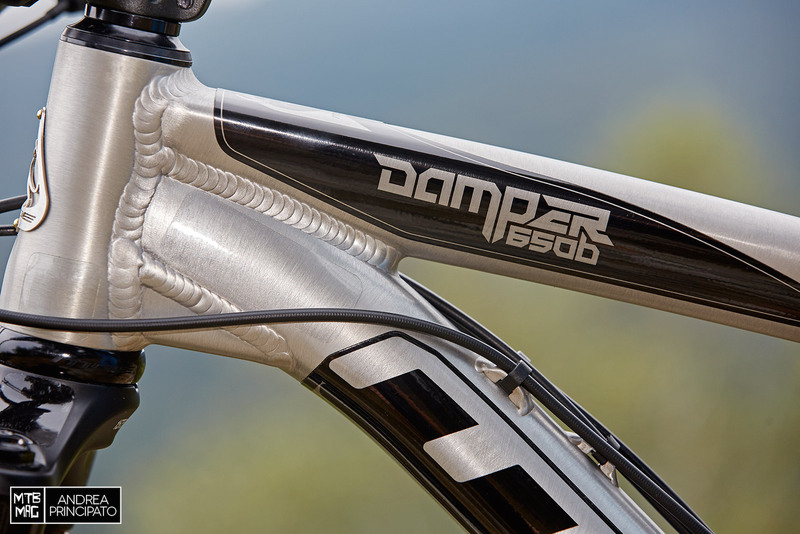 The new details of the Damper 650b frame stem from functionality but they have consequences on aesthetics as well. Now the design is more harmonious than before, showing a perceptible solidity thanks to more marked and strong lines. New decals, made by Crystal and offered in different colors, are now also on both sides of the down tube. Near the top tube and head tube junction, the down tube is bent. The new shape offers the down tube a bigger area to be welded together with the top tube and thus, more stiffness. The down tube has a leading role in another essential change too. Now it maintains the same tube shape throughout its entire length, so the lower part, near to the bottom bracket shell, is wider than the previous one. This allows a larger coupling and more welding surface for an increased stiffness. The suspension system is the i-Link, a Virtual Pivot system adopted by MDE for over a decade. MDE has modified the leverage ratio compared to the previous Damper 650b. Now it’s slightly progressive throughout the entire range travel and becomes highly progressive in the last millimeters of stroke, to avoid bottom out. The leverage ratio modification is due to the position changing of links and pivots. 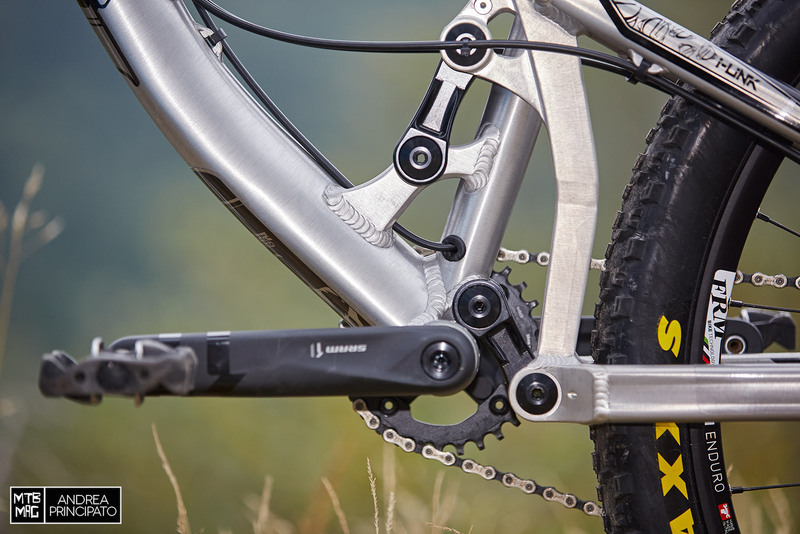 The lower link is now placed higher and more forward and allows a chainstay length of 6mm less than the previous model. 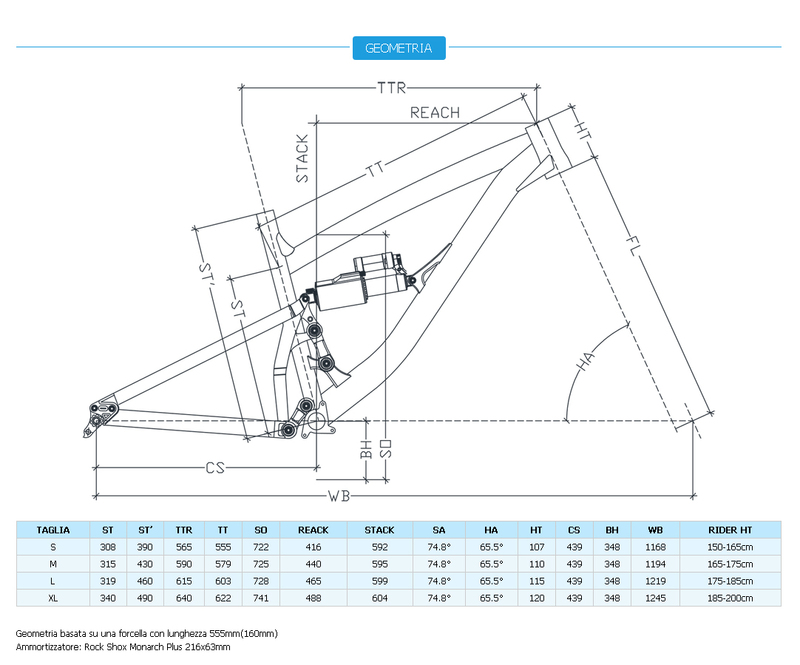 To host the shorter chainstay also the seat tube has been modified with a more vertical and upright angle (-2°). In the next picture we can notice how the bottom bracket shell has been precisely milled for hosting the lower link. 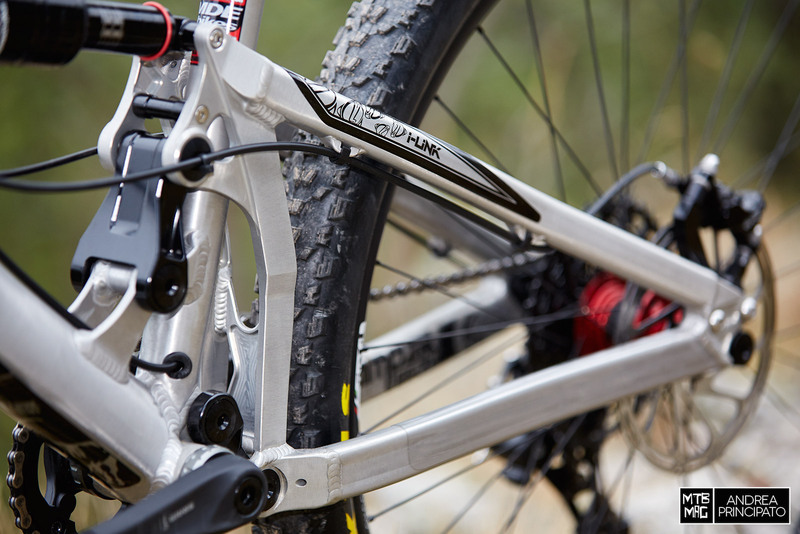 We can see the entrance dedicated to the internal housing of the Rock Shox Reverb Stealth hose. On the MY 2016 of the Damper 650b there are no longer external hose guides on the top tube, dedicated to the dropper seatposts with external cable routing. The rear triangle looks similar to the previous one but is been deeply modified. Not only shorter but also stiffer. The vertical part is thicker and is CNC milled in a different way, optimizing the balance between weight, strength and stiffness. 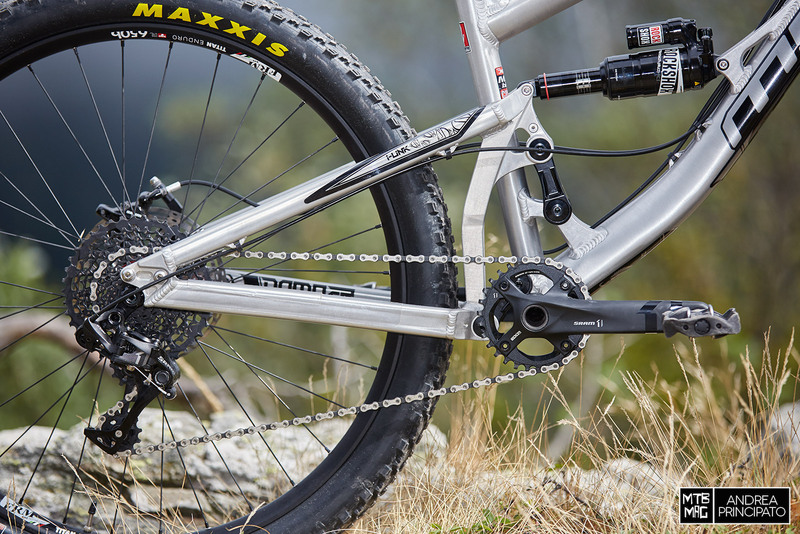 The 160 millimeters of travel, offered by the i-Link system, is managed by a Rock Shox Monarch Plus RC3 Debonair. Sensitive in the beginning stroke and supportive in the rest of its travel, it is in a perfect combination with the Damper 650b 2016 leverage ratio. We noticed a great increase in performance from the shock after a run that lasted longer than usual. Rock Shox brand also for the fork, a 160mm travel Pike RCT3 Solo Air. Being a best seller, it doesn’t require any further details or evaluations. We already talked about this fork on several occasions and it has proven its merit. 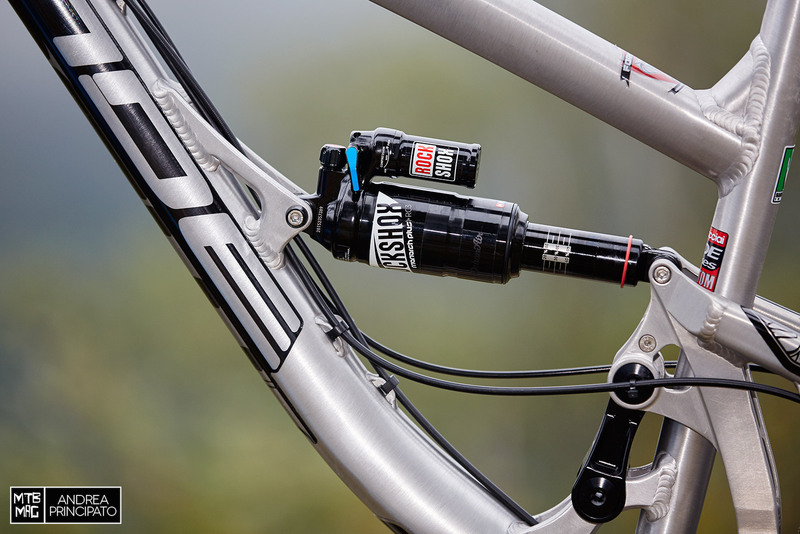 The whole trasmission is from SRAM. X1 groupset with its 10-42 cassette and X-Sync 30th chainring. 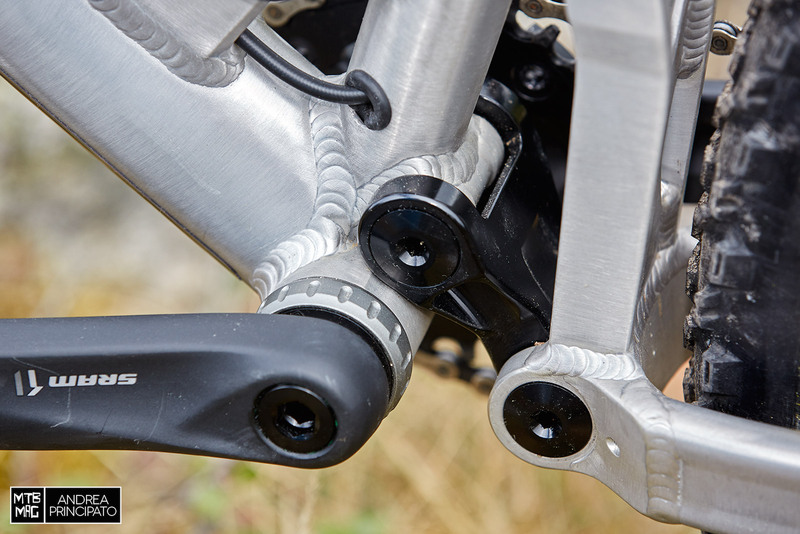 Cranks are 175mm long and the BB has GXP threaded system. Wheels are FRM Titan Enduro, rather light and very smooth. The 24,5mm internal width rims have fallen victim to a serious dent on the rear wheel, despite the tire pressure was always up around 2.2bar. 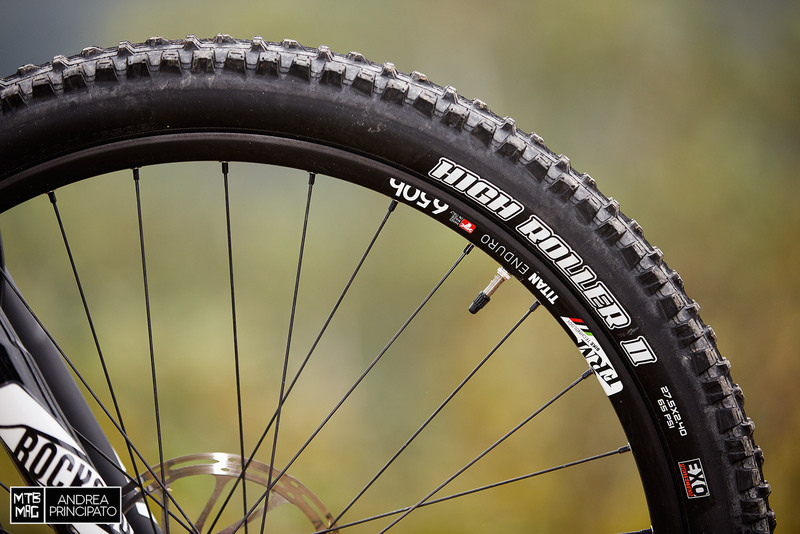 Maxxis Ardent EXO 2.25 was fitted to the rear wheel and Maxxis High Roller II EXO 2.40 on the front one, both tubeless. Handlebar and stem are Truvativ products: a 740mm wide BooBar bolted up to a 50mm long Holzfeller stem. Here we find the SRAM Guide R levers, coupled with the trigger shifter on the right and the seatpost remote on the left, thanks to the MatchMaker brackets. We appreciated that the Reverb command is mounted beneath the handlebar, in the best position possible. 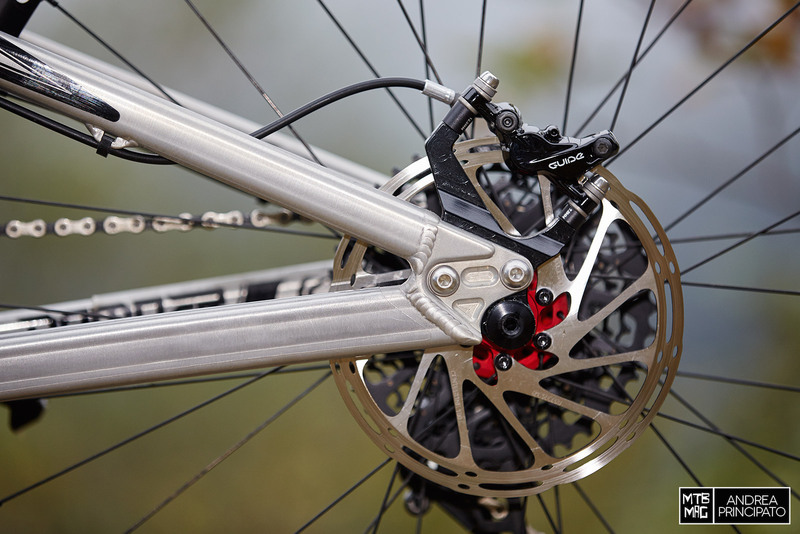 Rotors are SRAM Centerline, 180mm diameter on front and rear. The rear caliper is mounted on a dedicated PostMount adapter, CNC made, integrated with the dropout. 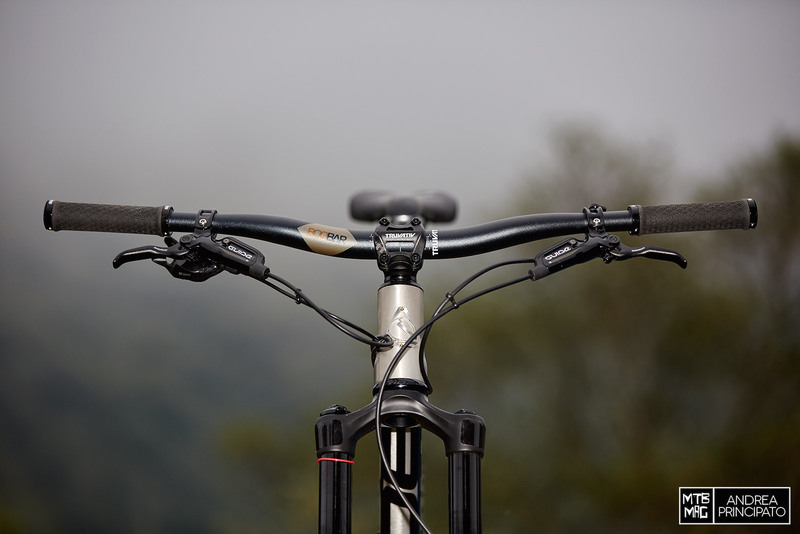 3 kind of dropouts kit are available: 142×12 Maxle, 148×12 Boost and 150×12 Thru Axle. The model we tested had a 142×12 and was featured a MDE axle with 5mm allen key hex head. 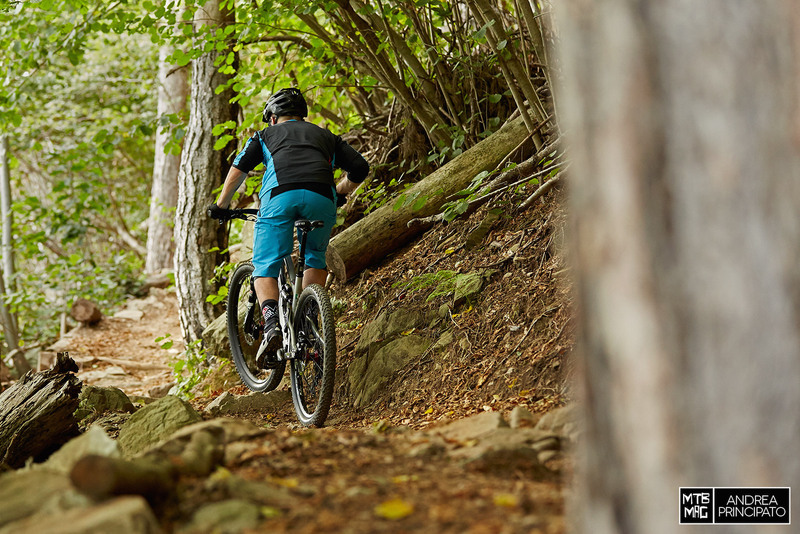 On the smooth uphill, the Damper 650b is easy to pedal, thanks to a half a kilo of weight loss compared to the Damper 650b that we tested 1 year ago. Due to a light “bobbing” effect, it climbs best with the compression lever of the shock on the mid (or firm) position, that allows it to transmit power to the pedals with the minimal energy loss, maintaining at the same time good traction and sensitivity on small bumps. Sitting on the saddle the riding position is rather compact, despite the reach is longer than the previous model, because the seat tube angle is more vertical and produces a 5mm shorter effective top tube in the M size. 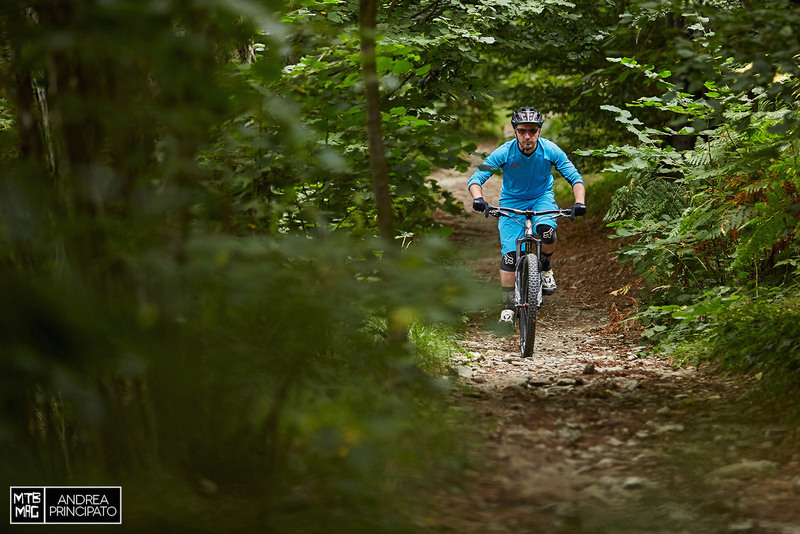 This increased length mean a great maneuverability on technical uphills, where the bike responds quickly to every body movement, keeping excellent traction on the rear wheel and a great deal of grip up front. 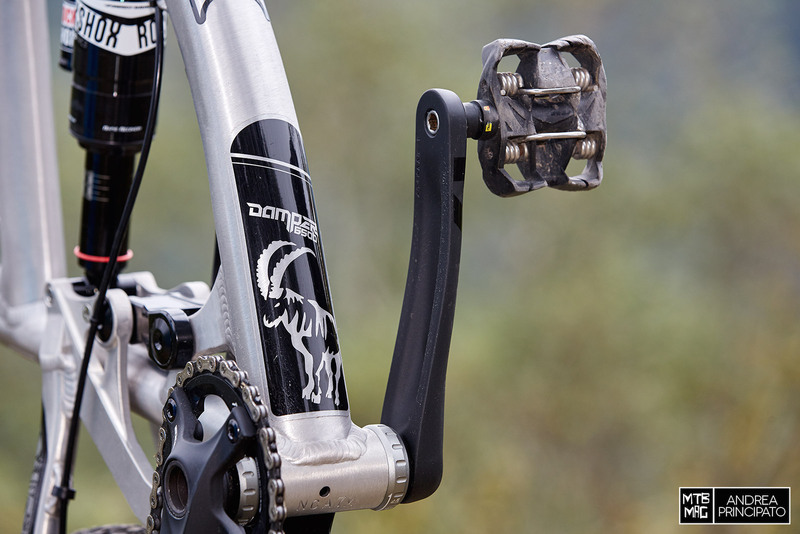 In regard to its intended use, the Damper 650b has astonished us on the technical uphills. Surely the shorter chainstay has a big role in making the bike more precise on uphills. 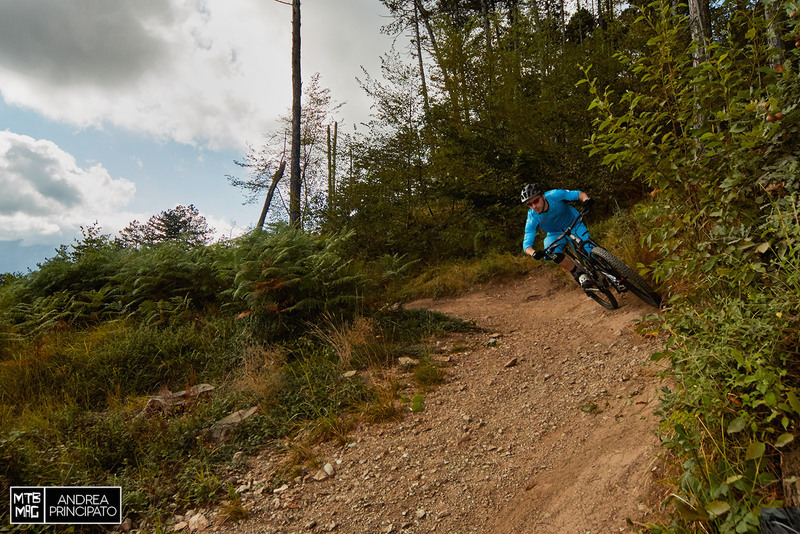 On the MY 2015 Damper 650b, one of the characteristic that most impressed us, was the immediate feeling and the intuitive approach we had on it since the very first descent. The small but crucial evolutions realized thanks to the Alex Lupato’s feedback, have turned the new Damper in a more efficient race bike. The MY 2016 Damper is faster and more aggressive, but it takes a certain type of heavy duty descending to understand and capitalize on the new MDE enduro weapon at 100%. 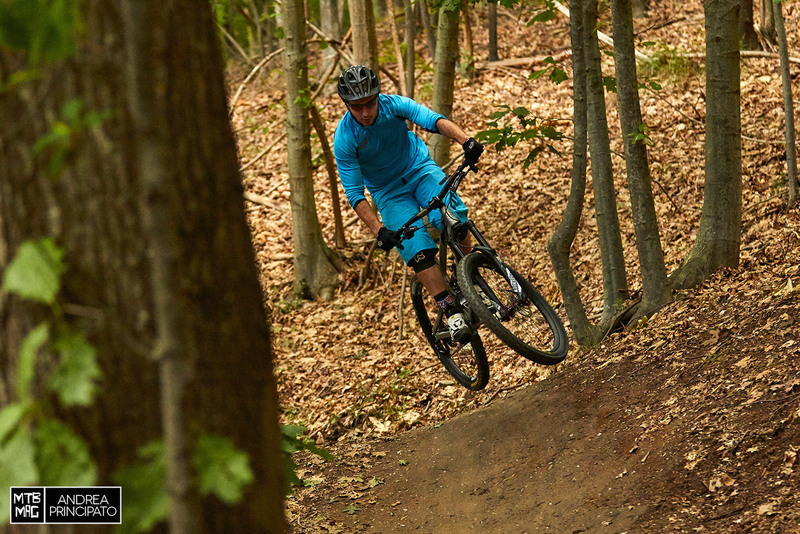 The increased stiffness is noticeable and will allow you to transmit more power onto the bike, to exit with more speed from corners and berms. Thanks to the low standover and center of gravity, the agility directional changes is outstanding. 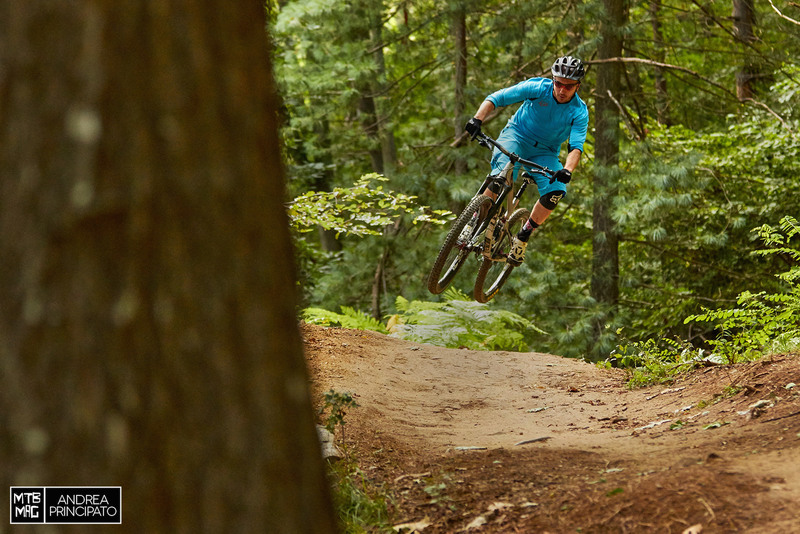 Even on the most curvy and gnarly trails it’s easy to sketch out trajectories with precision and immediacy. The stability on the wide turns is improved as well. 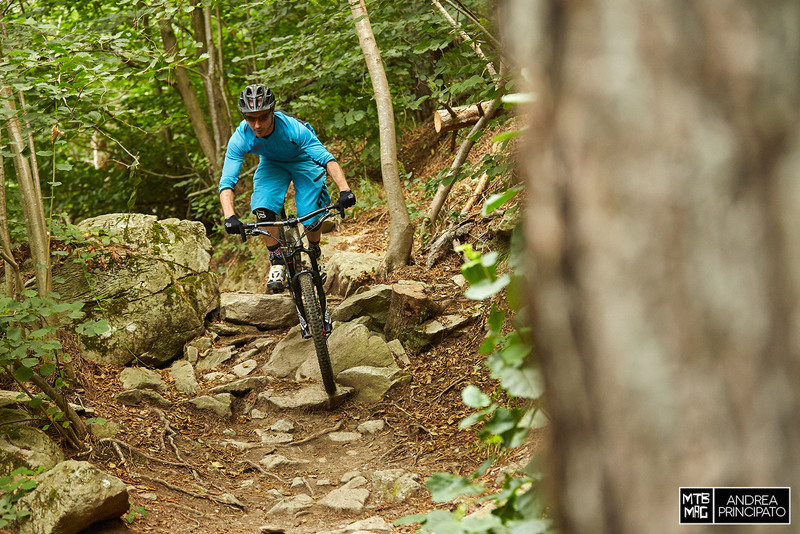 At the same time, the increased stiffness, along with the shorter chainstays and the more progressive suspension, make the Damper 650b very responsive on the roughest trails. Here the race temperament of the Damper 2016 is very clear. Its behavior is aggressive and less docile. With an active kind of riding it’s possible to take advantage of this responsiveness, maintaining a higher average speed. This doesn’t mean that suspension doesn’t work. In fact stability and absorption from both front and rear suspension is great and well balanced between one other. 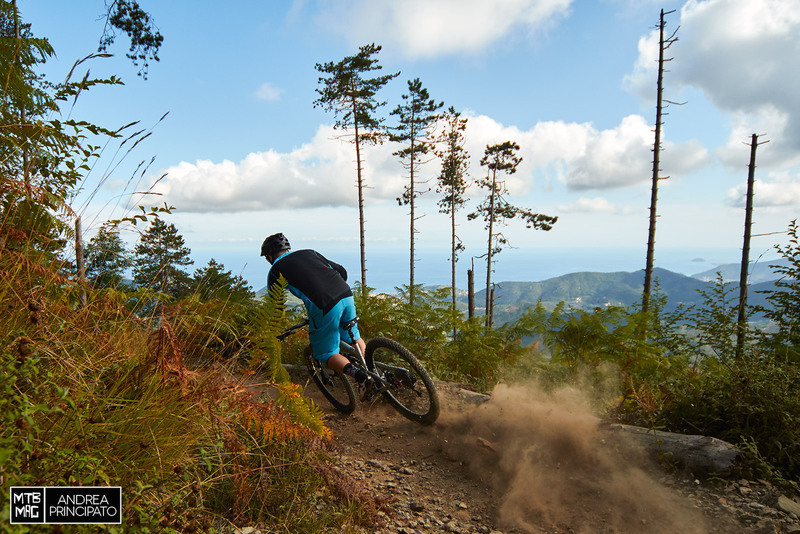 The responsiveness of the new Damper 650b is also remarkable in all those riding situations where the rider is looking to play with the bike, jumping or simply popping the wheels from the ground, looking for a more efficient (or fun) trajectory. Even outside of race courses, the Damper 650b is really a blast. The Damper 650b has evolved into an aggressive high performance bike, ready to race between the tape but great for enjoying casual riding as well. Stiff, sturdy, sufficiently light, built from a racers knowledge and offered at a very nice price. Furthermore it is handcrafted in Italy. All the models available can be seen on the Damper 650b page of the official MDE Bikes website. It is also possible to customize some specs, to meet your desires. MDE guarantees delivery within 30 days from the order. 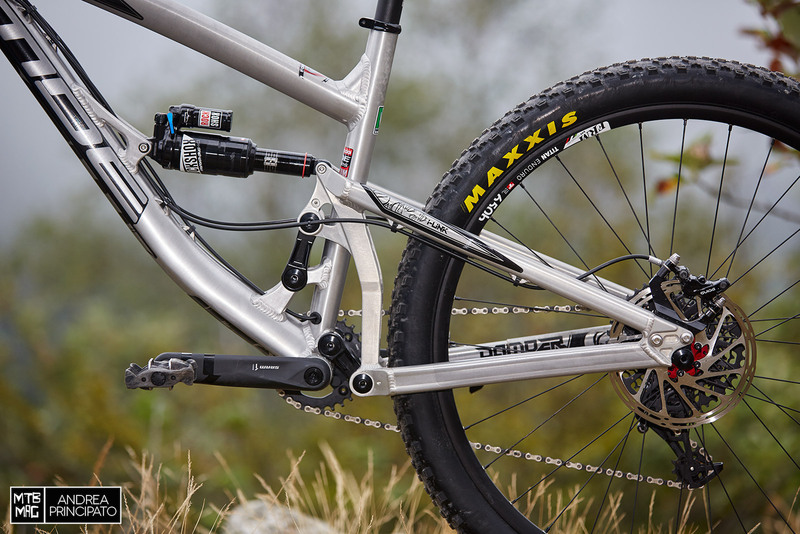 The Damper 650b 2016 in size M that we tested weights 13,5kg without pedals on our scale. The frame in size Medium with raw finish, without shock, has a claimed weight of 3,0kg.